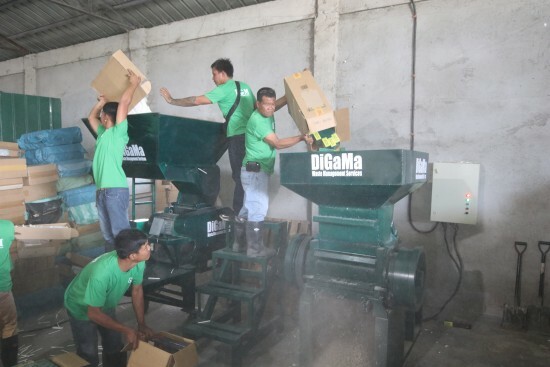 Finance Secretary Carlos G. Dominguez and Bureau of Internal Revenue (BIR) Commissioner Caesar Dulay witnessed the destruction of several unregistered cigarette-making machines and various brands of fake and untaxed finished products on Friday (Jan 18) at DiGaMa Waste Management Services in Porac, Pampanga. The destroyed contraband include units and parts of three filter maker machines, two packaging machines, and a cigarette-making machine, along with 484 master cases of various finished cigarette brands, and raw materials used in making cigarettes such as filter rods, tipping papers, packaging foil, acetate tow, and other supplies. 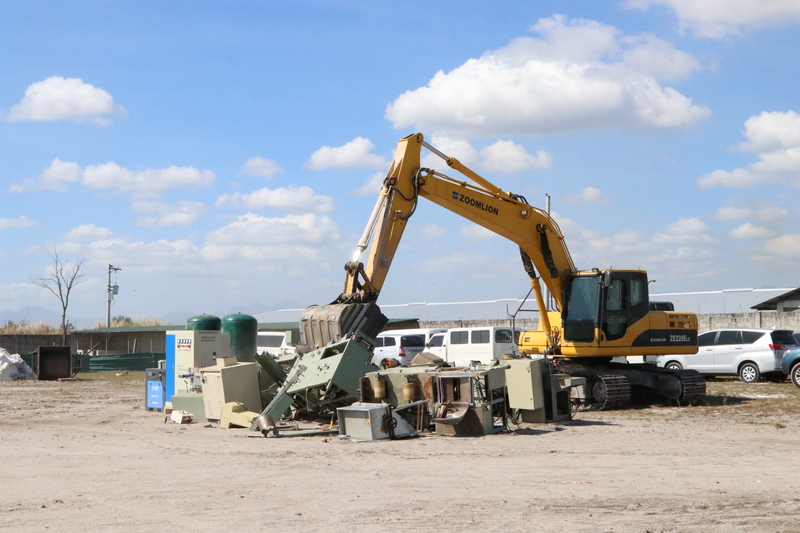 The machines were bulldozed into pieces, while a grinder destroyed the cigarettes. These contraband were seized by the BIR in illegally operating cigarette factories in Pampanga and Pangasinan. 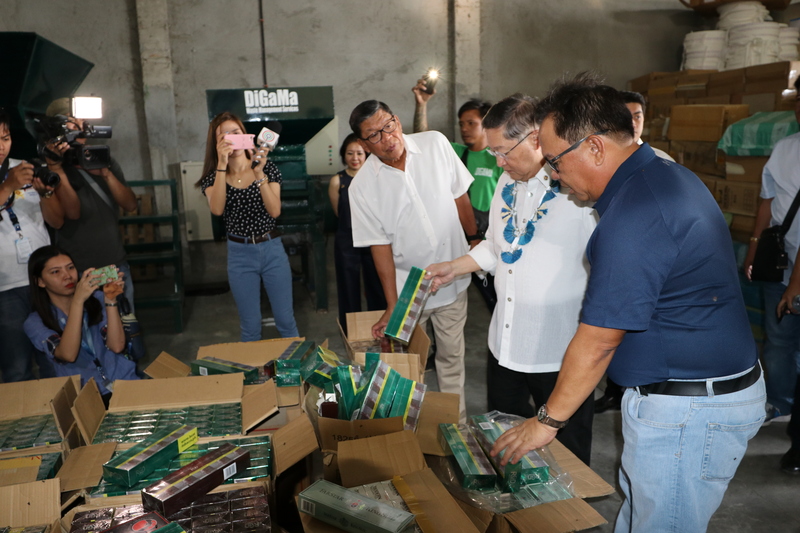 The event was also attended by BIR deputy commissioner Arnel Guballa, Pampanga Vice Governor Dennis Pineda, National Bureau of Investigation (NBI)-Intellectual Property Rights Division chief Glenn Ricarte, Porac police chief P/Supt. 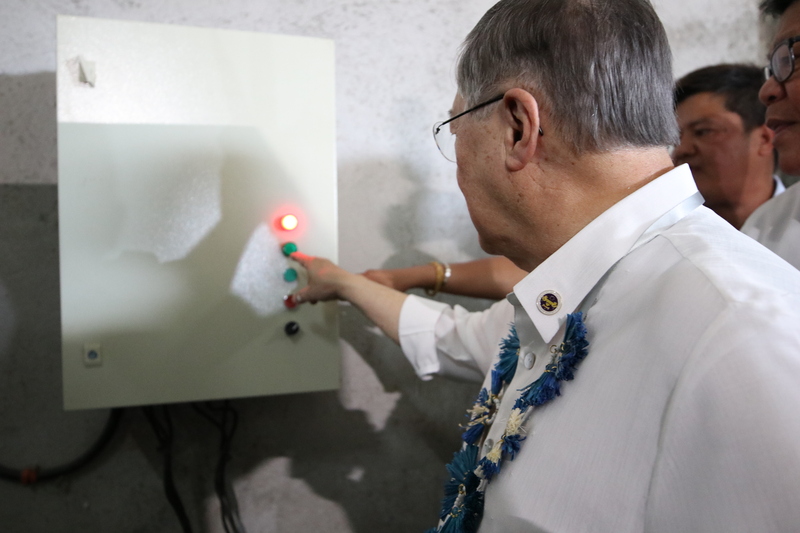 Crisente Tiguelo, Philip Morris and Fortune Tobacco Corp. (PMFTC) president Lawrence Chew, and Japan Tobacco International Philippines general manager Manos Koukourakis.